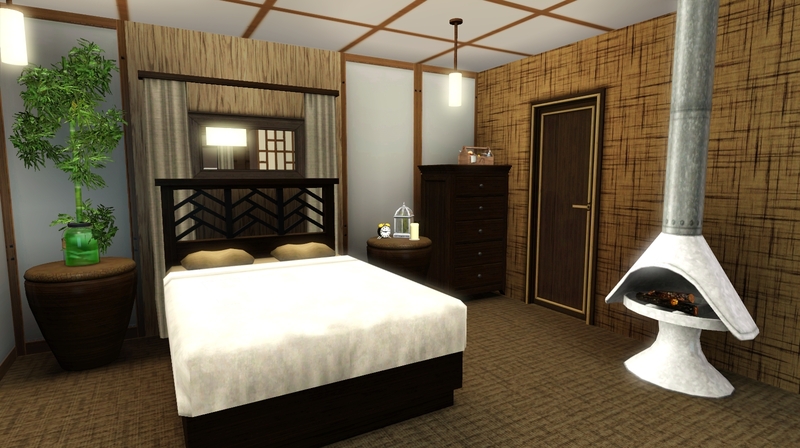 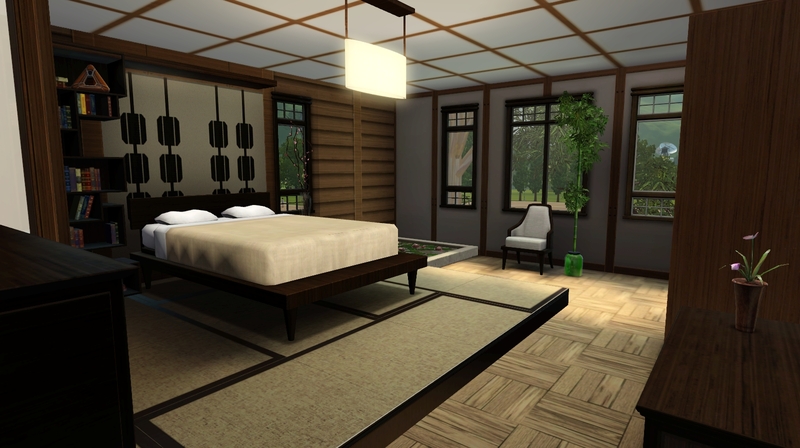 Lot Desc: A large, traditional, Asian-inspired lodging with a modern, Japanese interior. 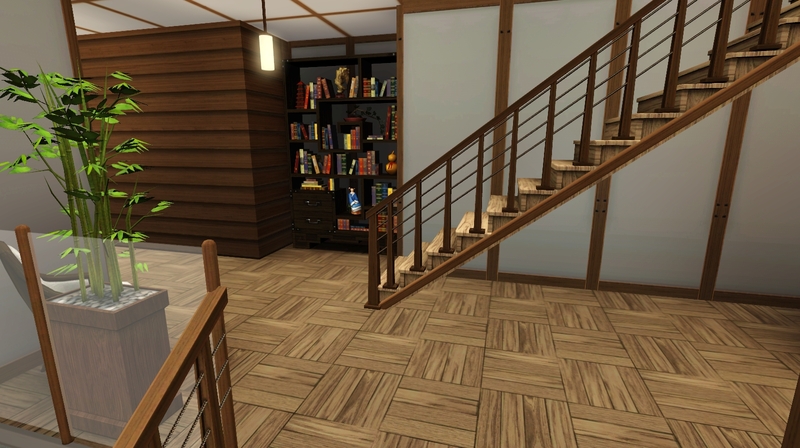 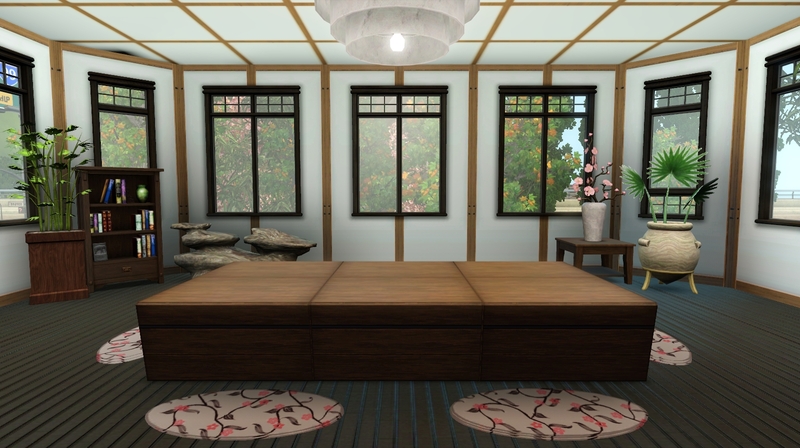 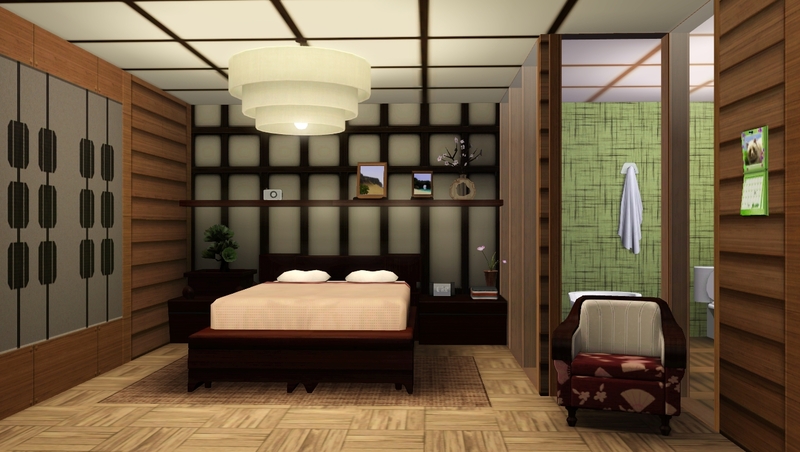 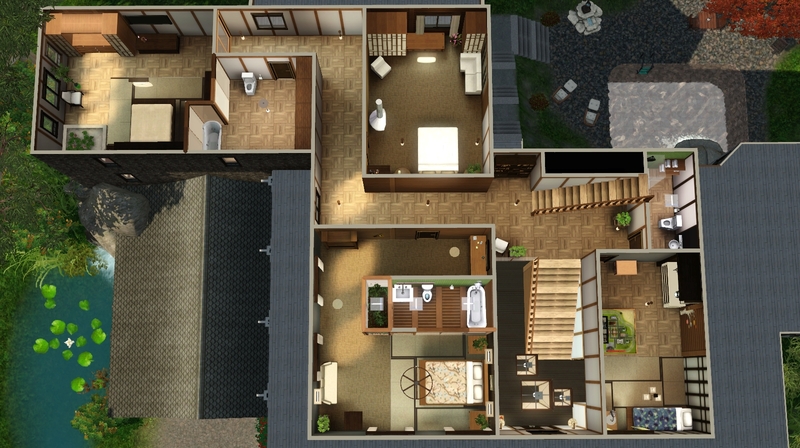 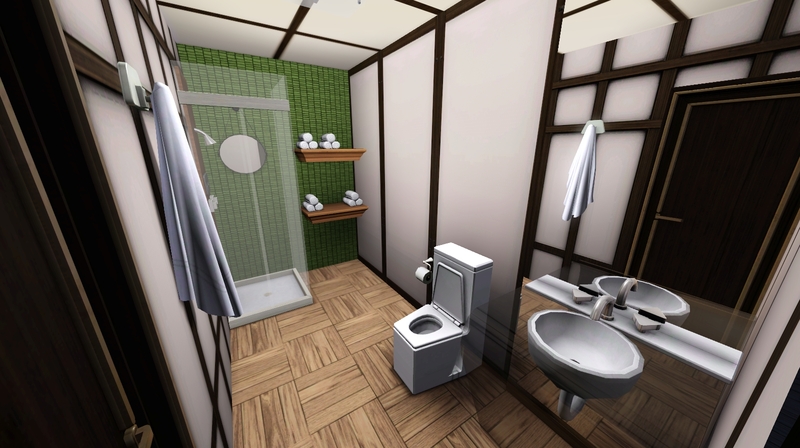 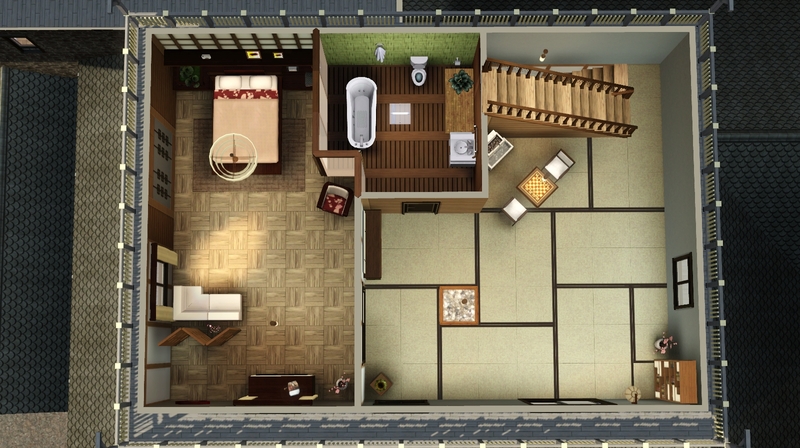 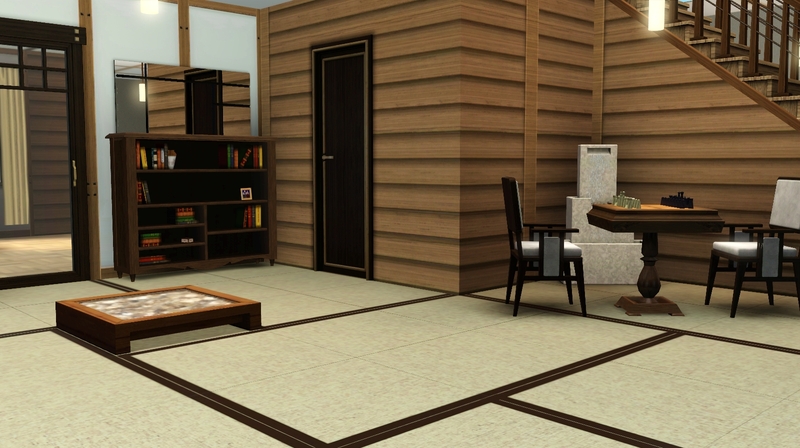 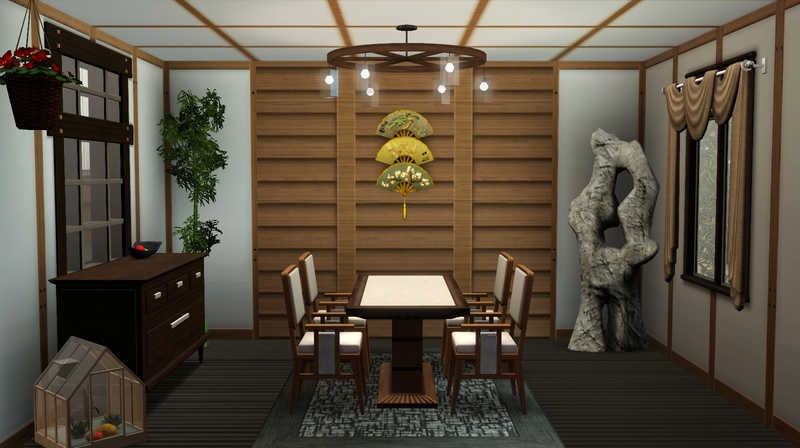 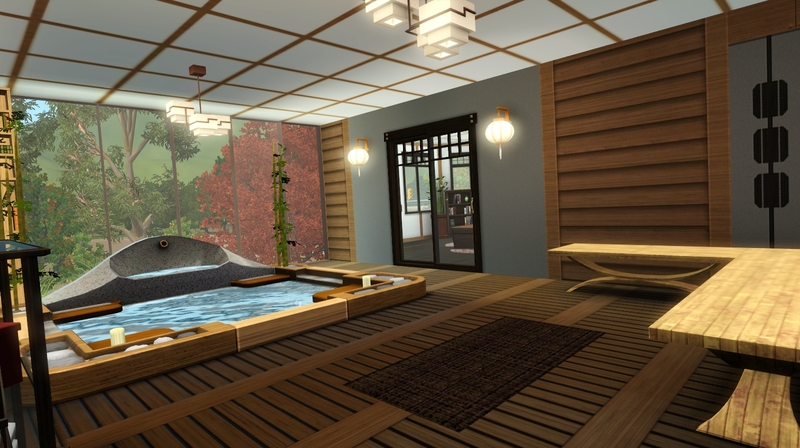 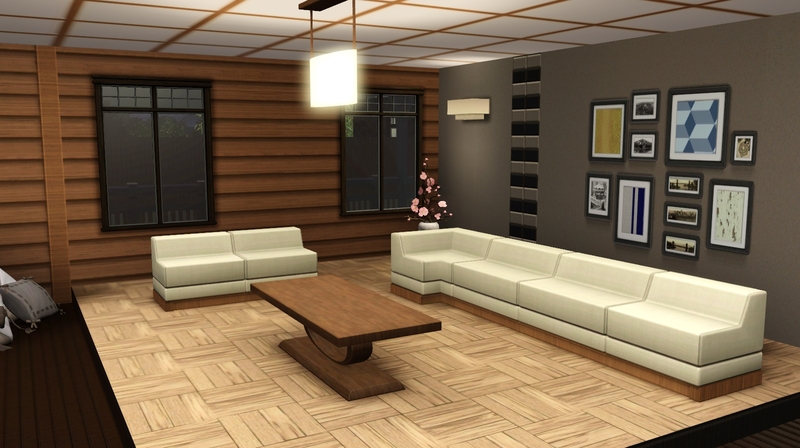 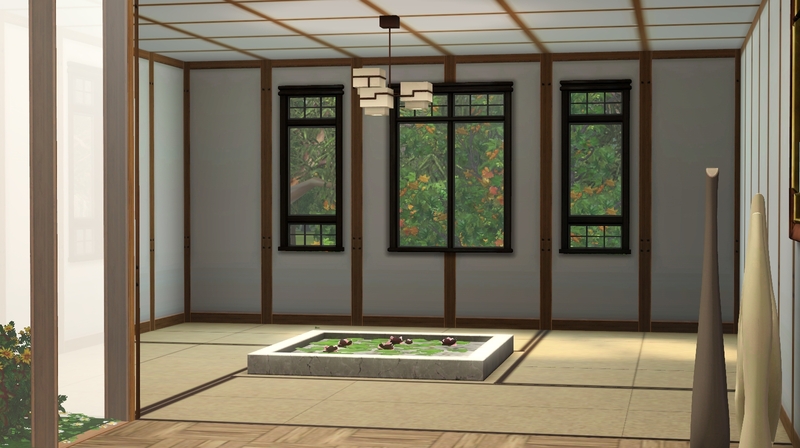 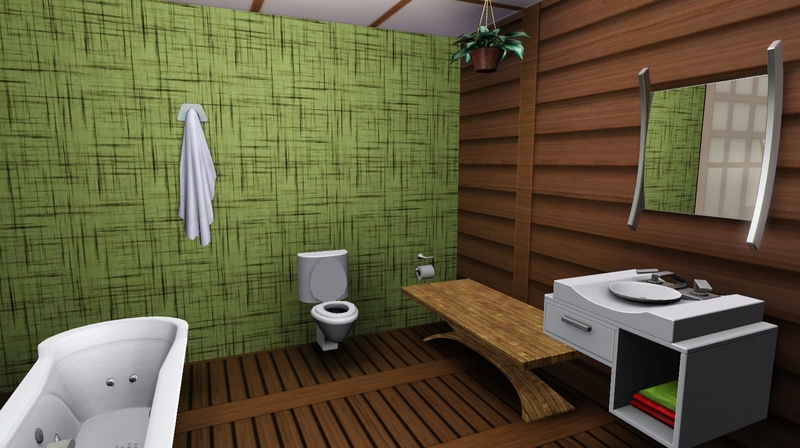 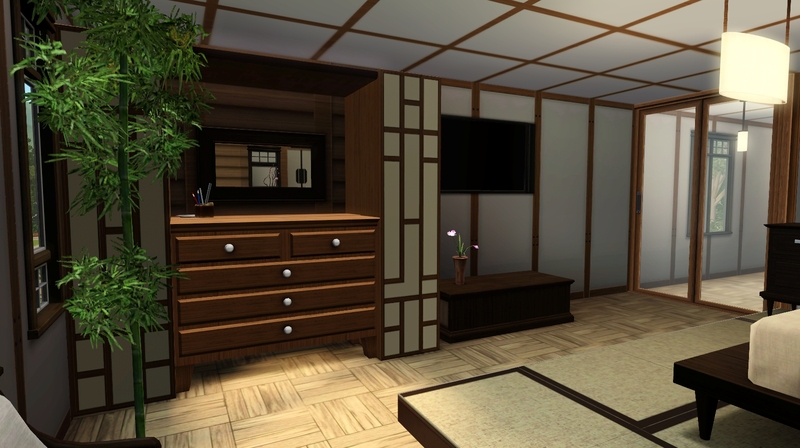 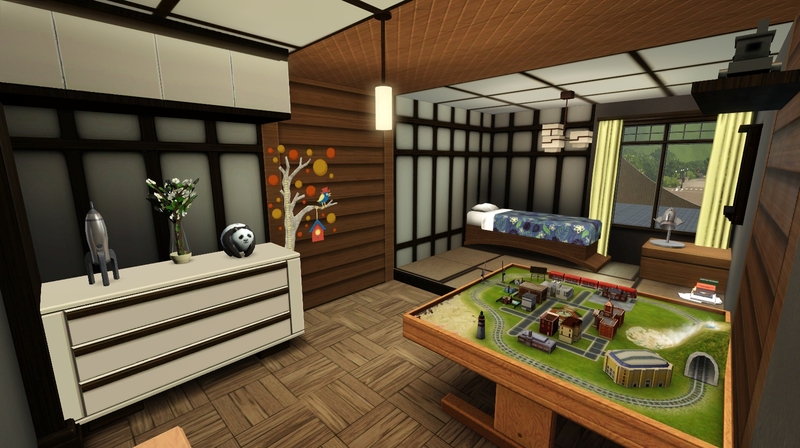 With tatami mats here and there, and a lot of natural wood tones, sims with a love of (slightly westernized) Asian style will feel right at home. 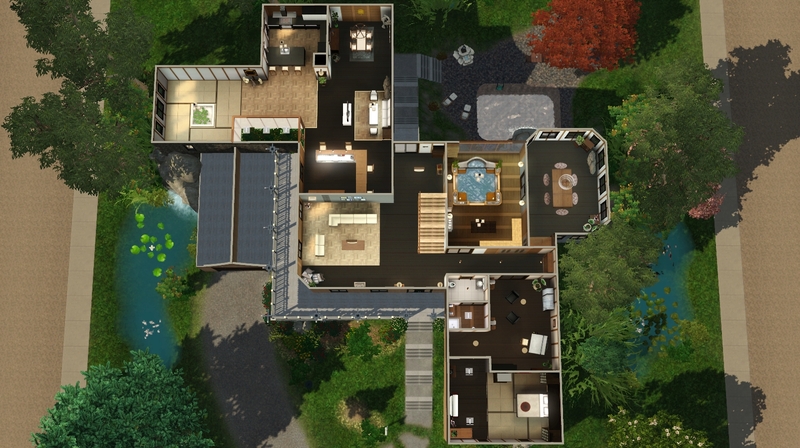 This mountain-top house will give any sim the calming feeling of being on a vacation retreat within the comfort of their own home! 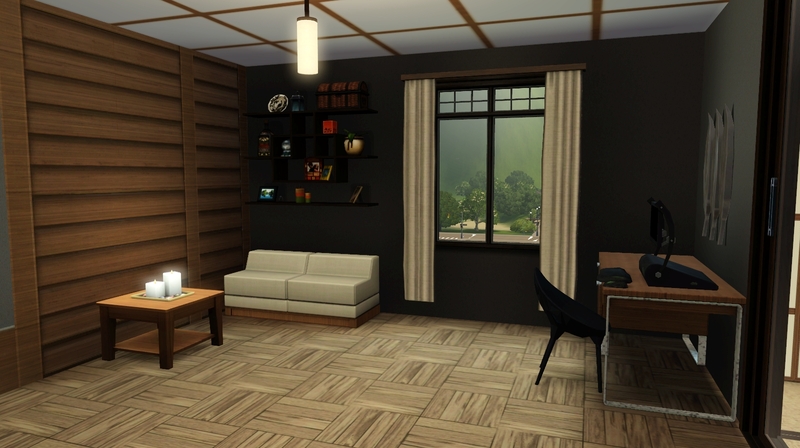 This took me an obscenely long amount of time to get just right from everything to the terrain paints, the structure, landscaping, furniture, and color palette/patterns. 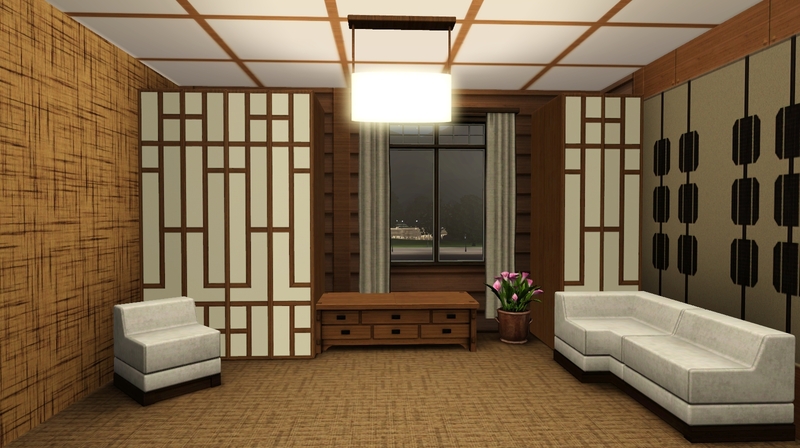 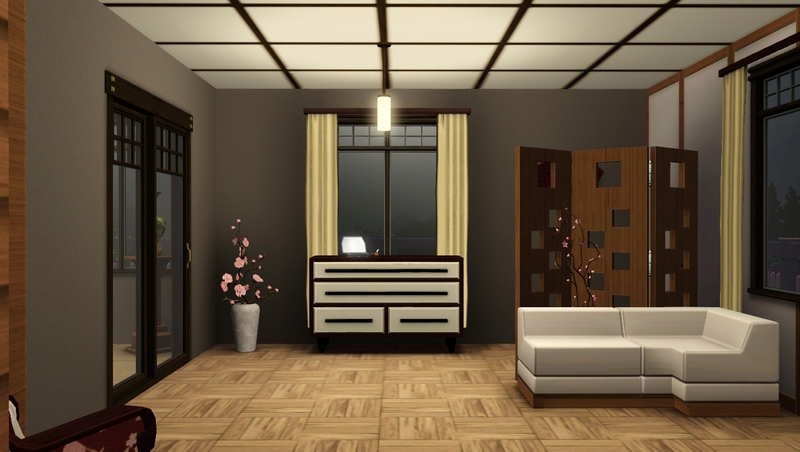 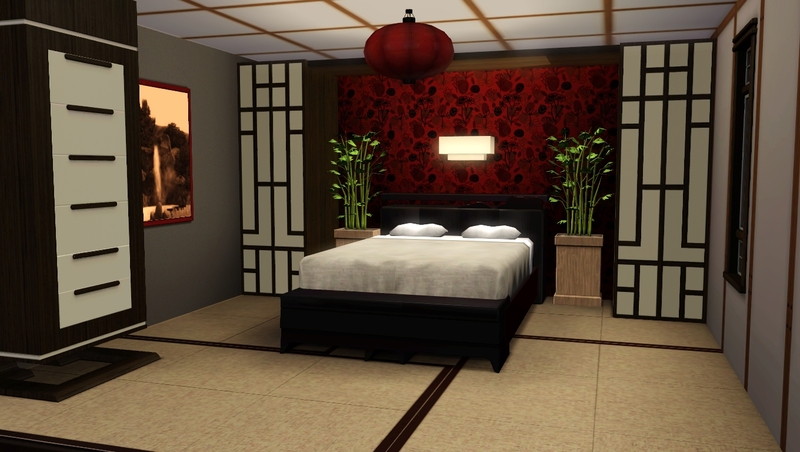 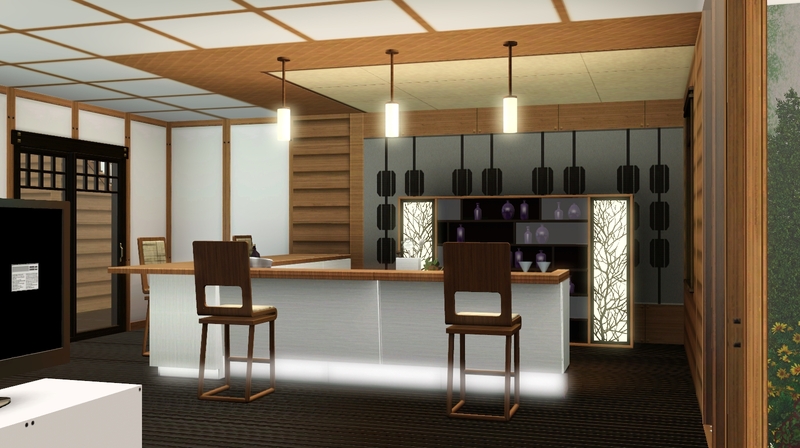 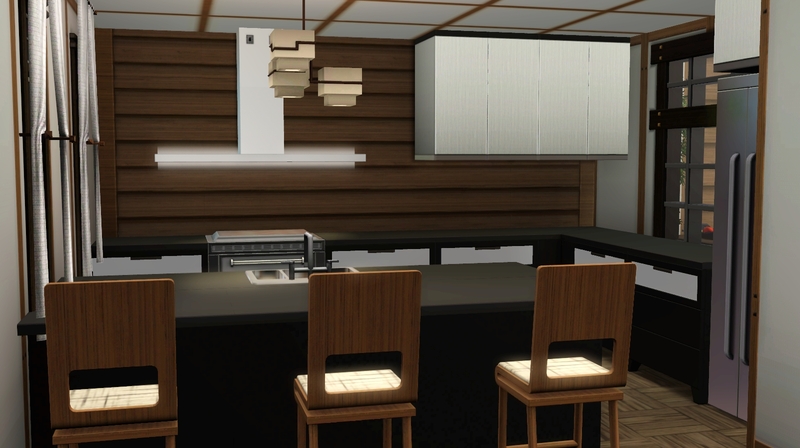 I know it's not exactly just Japanese style, and there are some various other Asian style pieces thrown in there, but without any CC, I had to make a only few things go a long way. 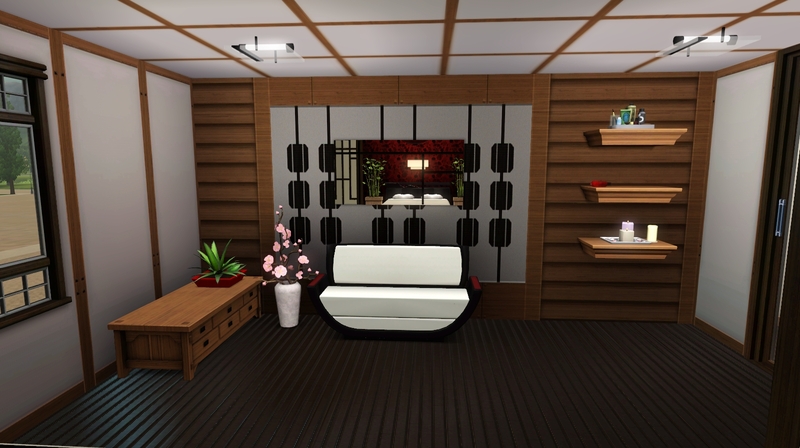 All functioning furniture is fully accessible (besides the bookcases I grouped together as screens, but those are only for decorative purposes anyway). 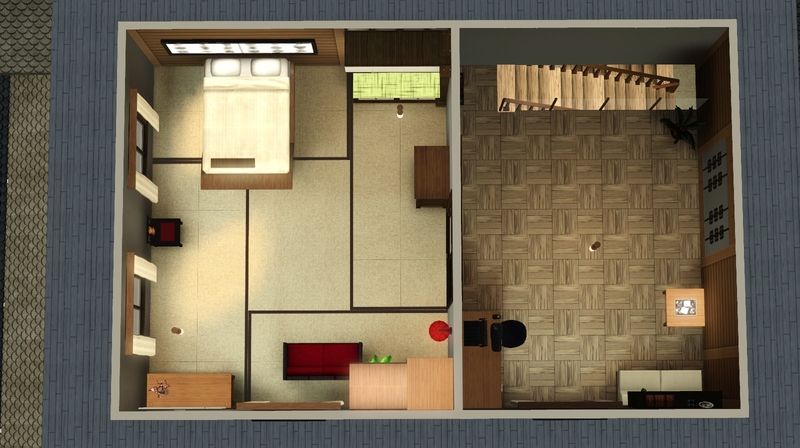 The furnished price is §356,990 and the unfurnished price is §195,656. 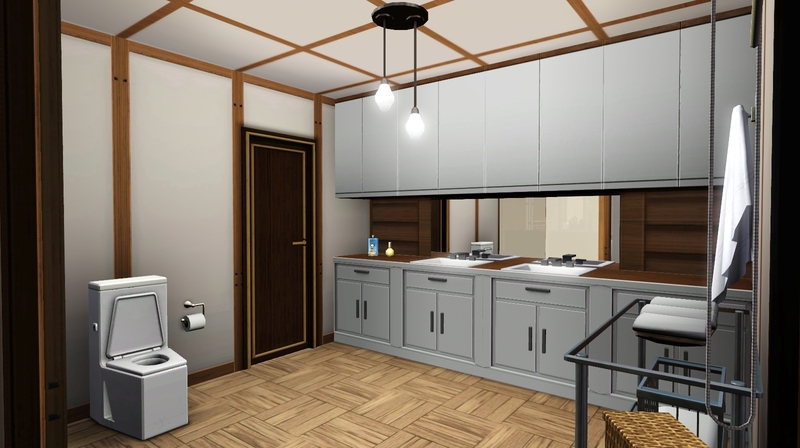 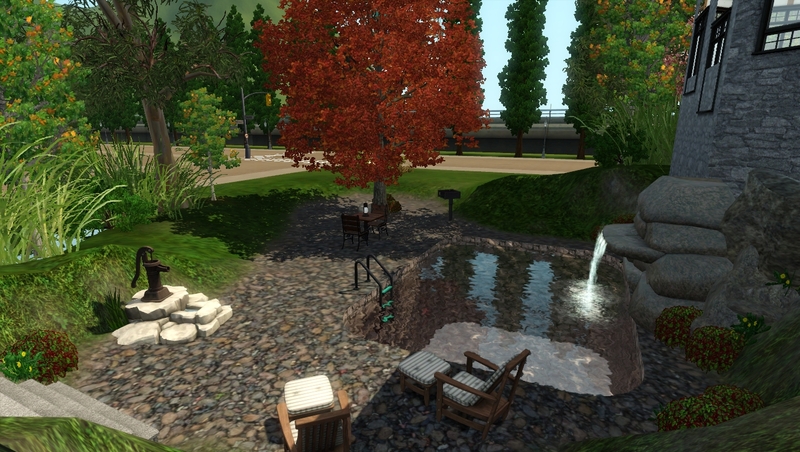 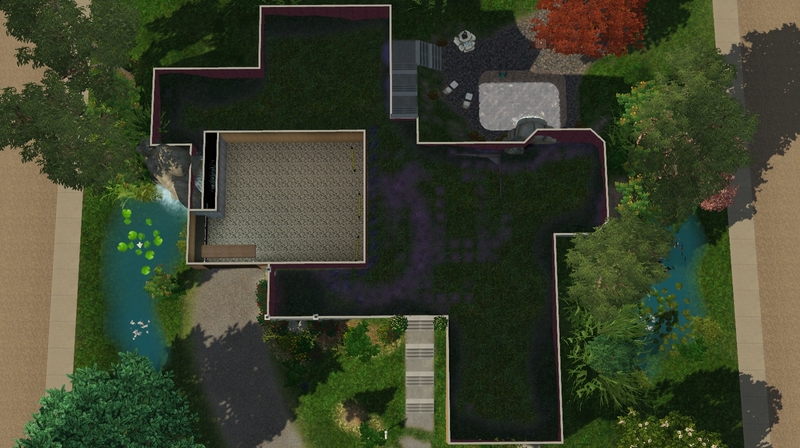 I used all EPs except University Life, and I used the SPs, Town Life Stuff, High-End Loft Stuff, Outdoor Living Stuff, Diesel Stuff, and Master Suite Stuff. 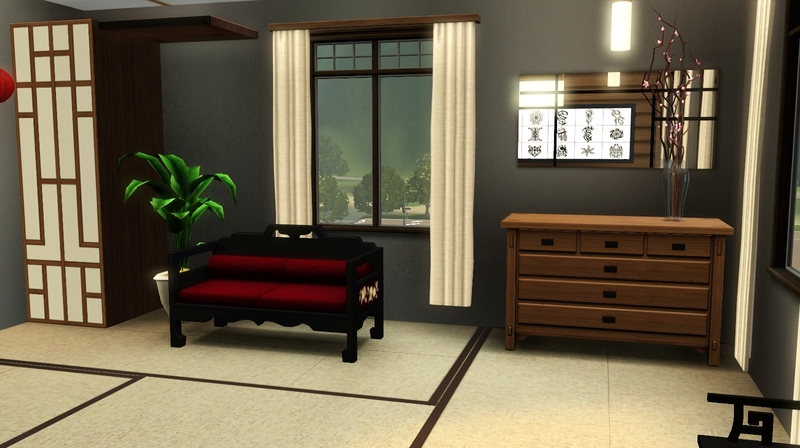 I only used one object from Diesel, so if you don't mind it being replaced, you won't need stuff pack at all. 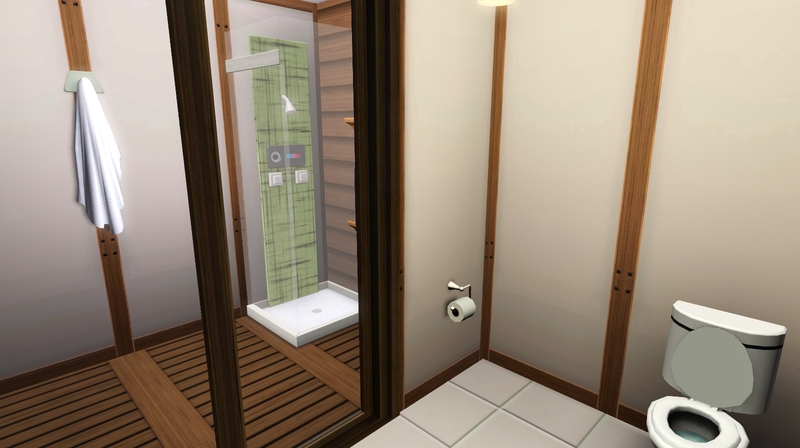 I recommend granthes' curtain adjustment. 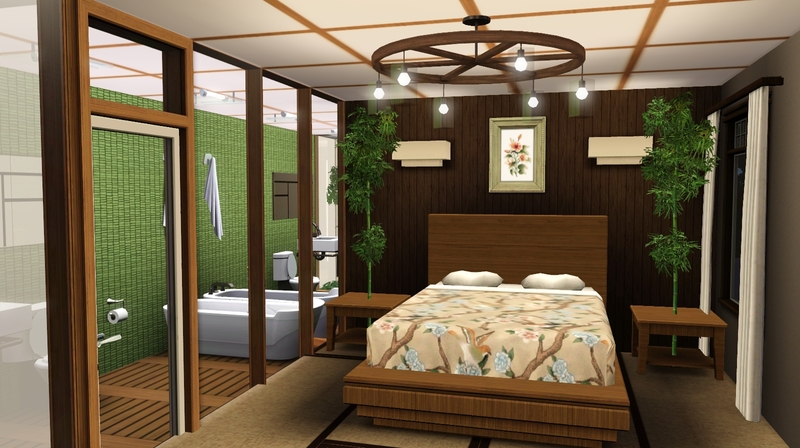 They are not necessary, but I used them to change some curtain heights.